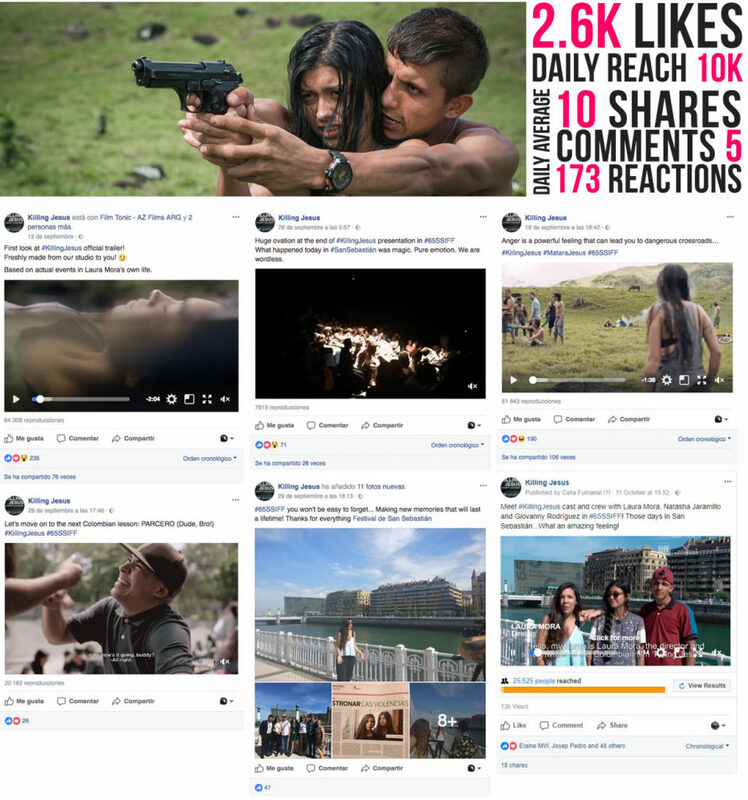 The Film Agency managed the Social Media campaign for Killing Jesus during TIFF and San Sebastian and gave visibility to all the partners involved in the film, among them Latido Films and Colombian-based production company, 64 A Films. Paula, a 22 year-old student, witnesses the murder of her beloved father, a popular Political Science Professor at a public university in Medellin. Devastated by the pain of her loss, she crosses paths with a young man she believes to be his killer. But what if both of them are the victims of a violent and corrupt system? This is the premise of Laura Mora’s debut film based on true events. World sales for Mora’s thriller, Killing Jesus, were launched at TIFF through Latido Films, before the film disembarked in San Sebastian to compete in the New Directors Section, where it had a heartfelt and moving reception by critics and audiences. Killing Jesus has been awarded with Erosky Youth Award, the SIGNIS 60 Years Special Prize and got a a Special KutxaBank- New Directors mention. Mora has wisely reserved her anger not for the killers, but for the kind of society that turns people into killers.